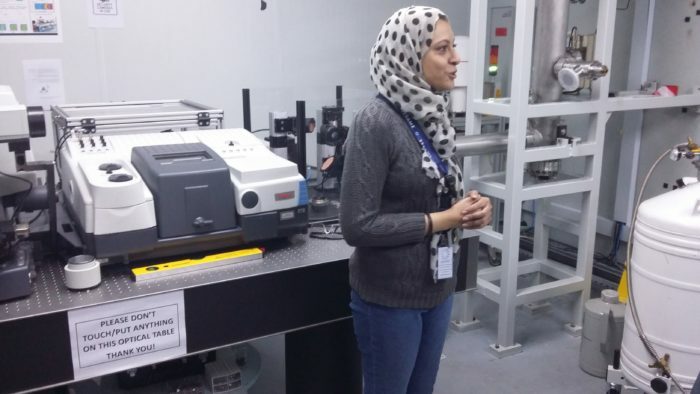 The Synchrotron-Light for Experimental Science and Applications in the Middle East (Sesame), located in Jordan, brings together scientists from different nations, religions and cultures, all speaking “the language of science” (Photo: Sesame). 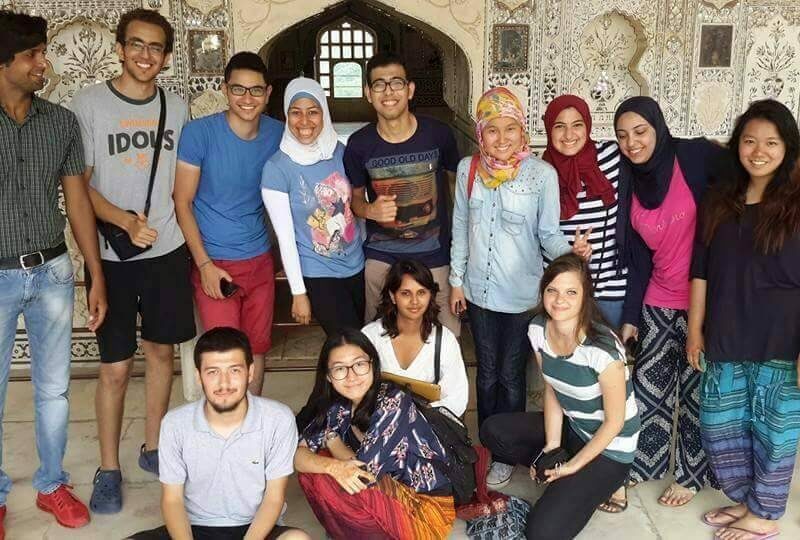 AMMAN—For many scientists in the Middle East, conducting research requires traveling to laboratories outside the region. But now researchers have a new, world-class physics facility closer to home, which they hope will lead to advances in a wide range of disciplines, slow brain drain from the region, and encourage home-grown science and technology. The Synchrotron-Light for Experimental Science and Applications in the Middle East, a research laboratory located about 30 kilometers northwest of the Jordanian capital, is a particle accelerator, a powerful instrument in a warehouse-size building that enables the study of materials at the atomic and subatomic level. 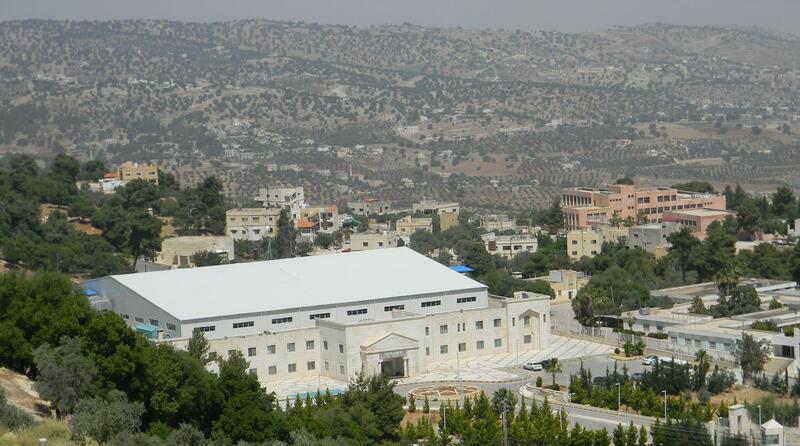 The facility was officially opened by King Abdullah II in May 2017, and researchers began working there in November. This year, its administration plans to double its physical capacity by adding two new beamlines—the powerful light sources at the heart of the device. And starting next month, it will begin a program to power the energy-hungry facility with solar electricity. A synchrotron generates powerful beams of subatomic particles which are accelerated in a ring-shaped structure and then directed at a target for analysis; in essence, working like a giant microscope. Particle accelerators like Sesame are all based on the model of a circular chamber which produces concentrated bursts of intense energy. The largest such accelerator in the world is the Large Hadron Collider located at the border of France and Switzerland and operated by the European Organization for Nuclear Research, better known as CERN; its accelerator ring has a circumference of 27 kilometers. Sesame’s accelerator ring is small by comparison, with a circumference of 130 meters. The synchrotron’s particle beams can be adapted for research in fields such as biology, archaeology and medical sciences. In the second half of 2018, 23 experiments were conducted at Sesame by users from member and nonmember countries, an administrator said. 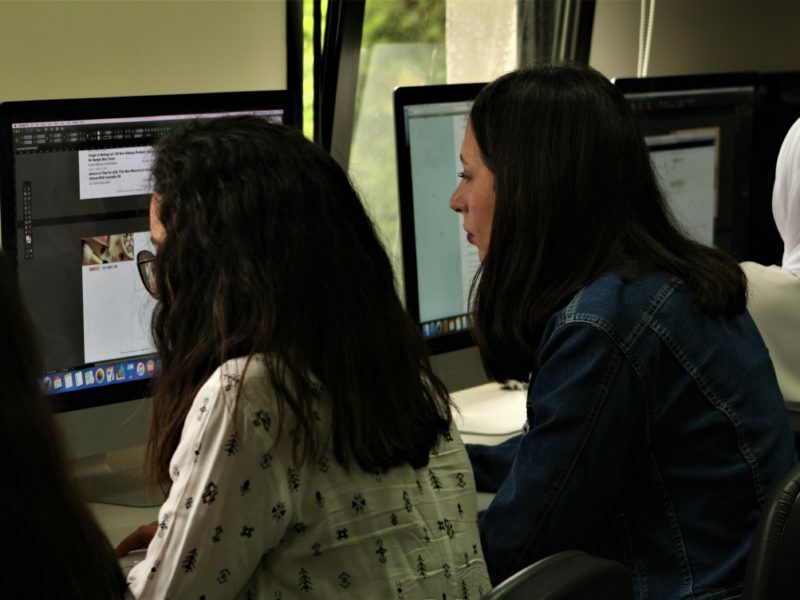 For example, researchers from Cyprus are analysing pages from an ancient Persian text: They are using Sesame to carry out spectroscopy on the materials of the manuscript. The results can show the age and chemical composition of the inks and paper used. Similar work is being done on artifacts from the ancient Nabataean site of Petra, in the south of Jordan, a popular tourist attraction. About 70 synchrotron facilities exist around the world, either in operation or under construction. Sesame is the only one in the Middle East and North Africa. Sesame’s electricity bill at present is approximately $15,000 a day. Unlike some of its neighbors, Jordan does not have its own sources of oil, and 90 percent of its electricity is generated by imported fuel. 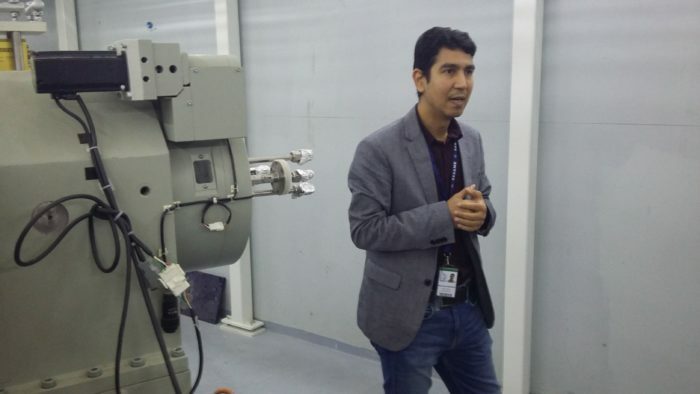 Gihan Kamel, an infrared beamline scientist at Sesame, briefs visitors at the research facility (Photo: Edward Fox). The project brings together Cyprus, Egypt, Iran, Israel, Jordan, Pakistan, the Palestinian Authority and Turkey. These eight countries have a history of conflict, and in some cases conflict continues. Jordan was chosen to host the project, its instruments and laboratory because it was the only country among the eight that had diplomatic relations with all the others. Mahmoud Abdellatief is a materials science beamline scientist at Sesame (Photo: Edward Fox). 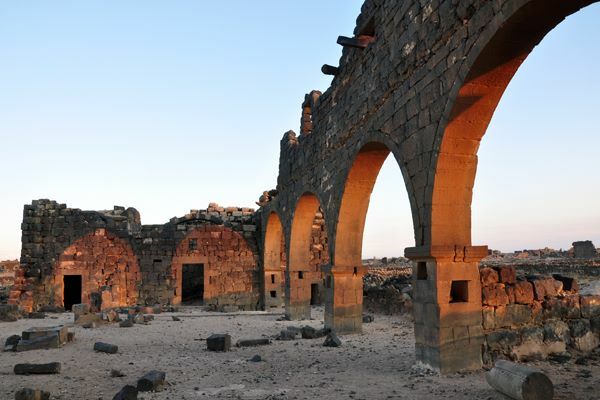 Jordan accordingly donated land adjacent to al-Balqa’ Applied University, near the city of al-Salt, and construction began with the installation in 2002 of components of a decommissioned synchrotron donated by the Helmholtz research center in Berlin. Still, the Ramallah-based Palestinian BDS (Boycott, Disinvestment and Sanctions) National Committee has called on Unesco to exclude Israel from the Sesame consortium, on grounds that its membership constitutes normalization of relations between Israel and Arab states. Over 100 proposals to use the laboratory this year have been submitted.